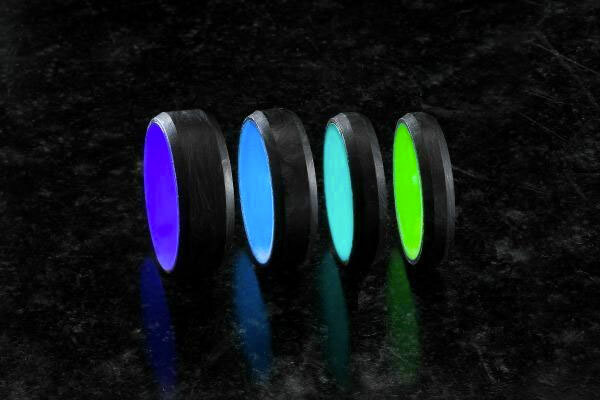 Pair of Carbon6 Forged Carbon Fiber Rings Giveaway Winner: Congratulations to Barney F. of Verona, WI, winner of the pair of Carbon6 Forged Carbon Fiber Rings. Thanks to all entrants, and be sure to check the Dude homepage or Dude Giveaways section for your chance to enter our latest prize drawing. This giveaway concluded on September 23, 2018. If you weren't glowing with happiness about your engagement, marriage, pregnancy, divorce settlement, or 10,000th Instagram follower before, here's your chance. 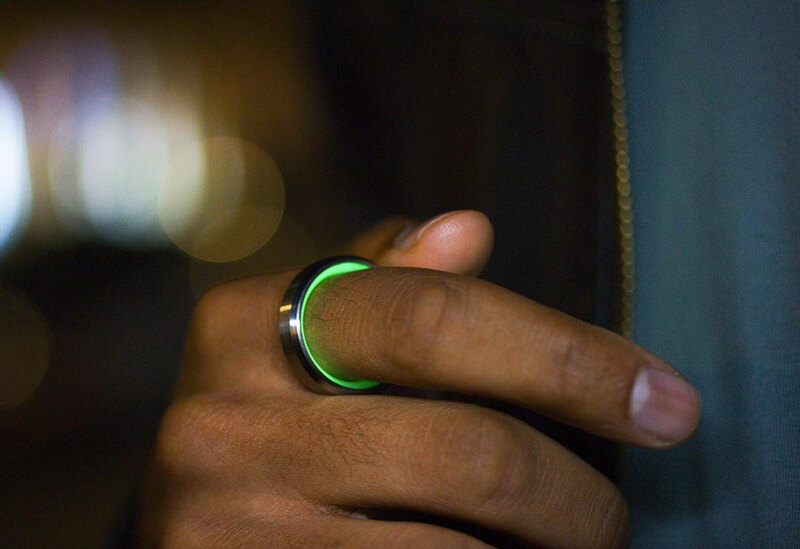 Carbon6's Carbon Aeon, Lume, and Halo Glow Rings will literally send light spilling from your finger. Click here and enter to win your choice of any 2 x Carbon6 Rings valued at up to $250 apiece (up to a $500 value)! The husband-and-wife team at Carbon6 designs and hand-makes all of their standout jewelry from a small workshop in Brooklyn. 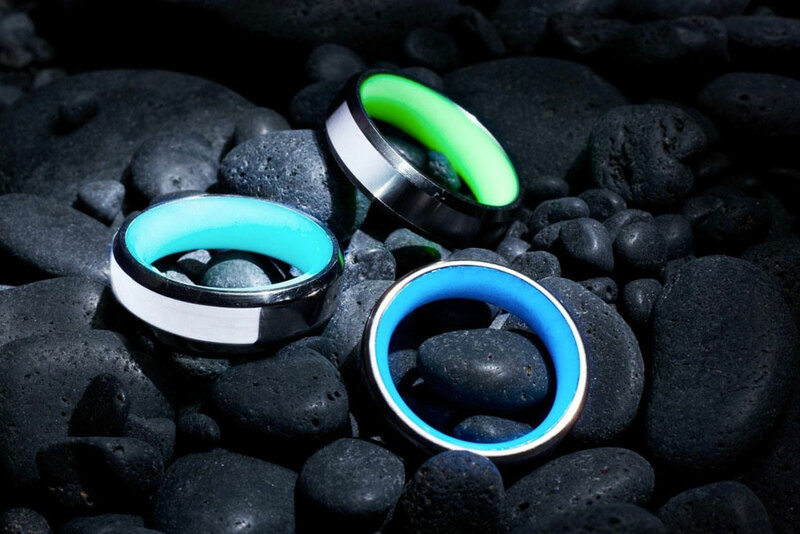 Carbon6 rings pair a clean, contemporary look with some striking, even more contemporary materials. Lamborghini was the first to show us Forged Carbon Fiber in 2010, using it to form lightweight parts for their cars. The fibers are "forged" because they've had both heat and pressure applied to mold them into desired shapes. Lamborghini's process of forging is proprietary, so Carbon6 developed their own methods of maintaining carbon fiber's strength and lightness, while weaving it into the sweet marbling patterns you see in their rings. 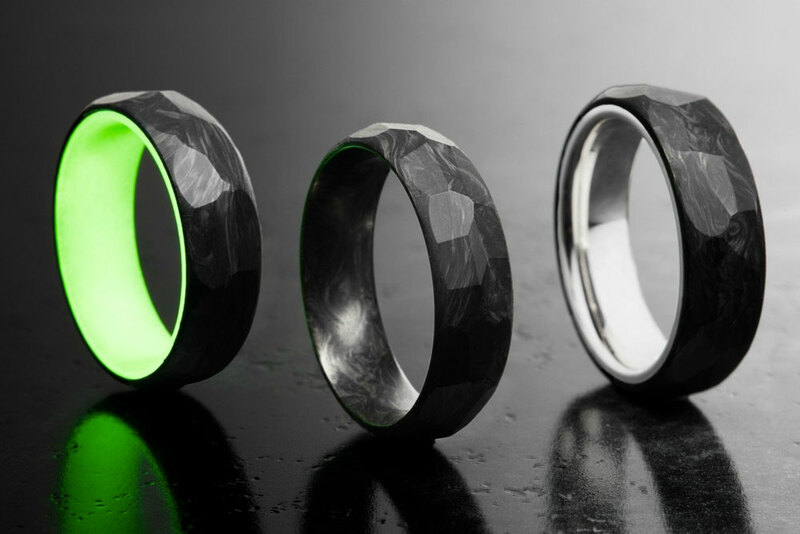 Carbon6 also fashions rings from hammer-welded, damascus-style steel and, for the brilliant glowing effect in their Glow lines, luminescent resin. 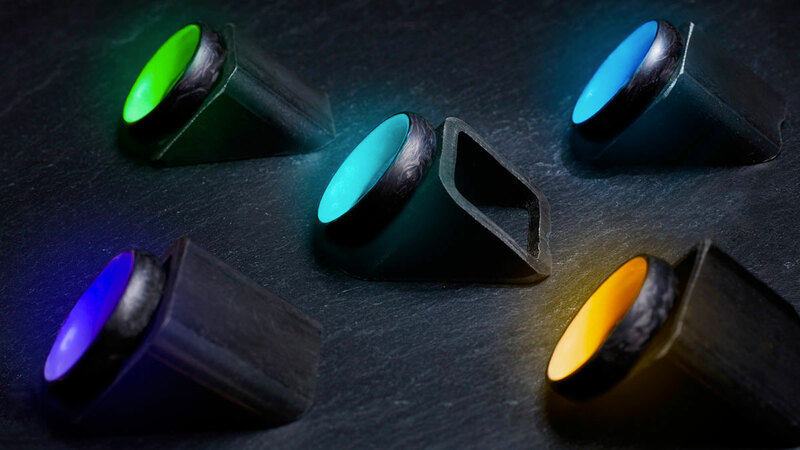 Carbon6's complete Glow collection (7 different styles) plus some of their plain Forged Carbon Fiber bands are all available to our giveaway winner. Check them all out here. To register, click here and fill out the Carbon6 Forged Carbon Fiber Ring Set Giveaway entry form. Or, if you're already a member of DudeIWantThat.com, when the magic entry form button appears, just click it to enter. Giveaway prize includes 2 x Carbon6 rings of your choosing with a retail price of $250 or less apiece (up to a $500 prize value). 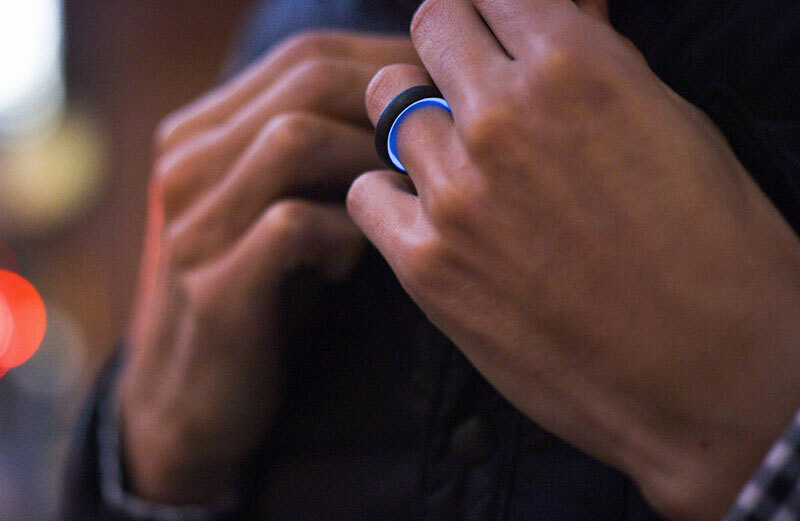 You can view and purchase any ring from Carbon6's collection directly from their online store here. In addition to the Forged Carbon Fiber and luminescent rings, they have some sick damascus designs textured to look like python skin, wood grain, and spider silk.